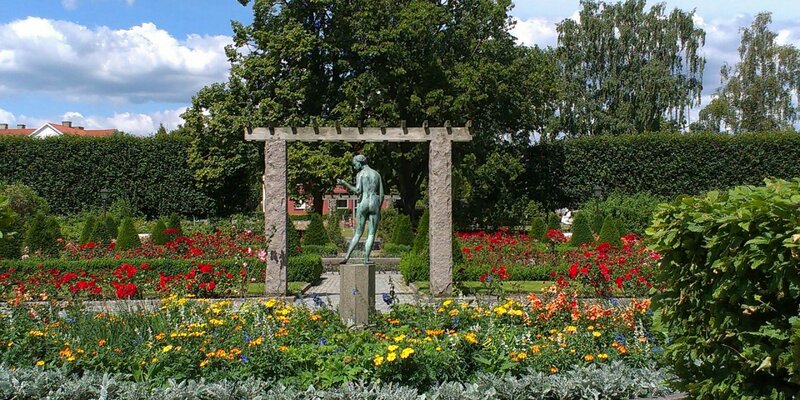 Ronneby Brunnspark is the park of the former spa town Ronneby Brunn. The spacious park was created over 300 years ago, is quite varied designed and has been awarded several times for its beauty. Mainly in summer, the park is a popular destination and the site of numerous events. 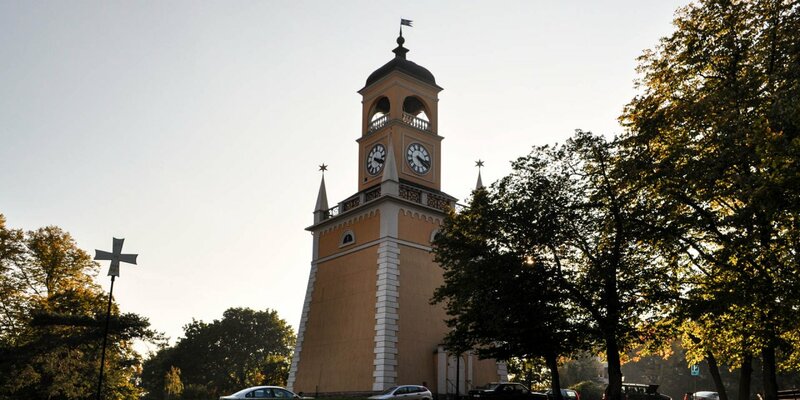 Ronneby Brunnspark is about 30 hectares in size and it is located just 2 kilometers south from the center of Ronneby. 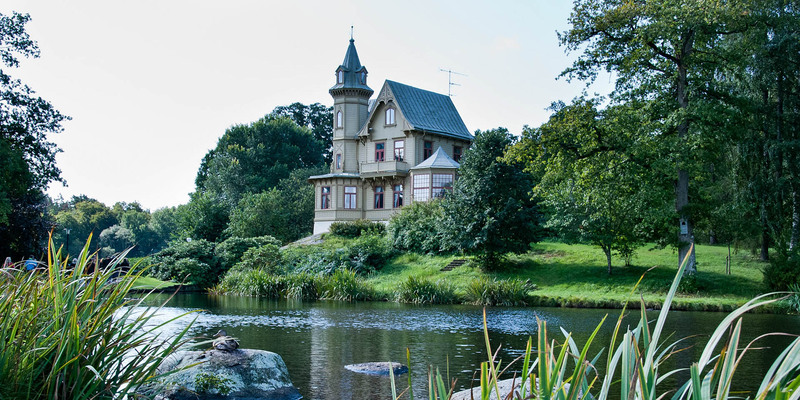 The park got its present form from the creative ideas of Danish landscape architect Henry August Flindt. He received the order to redesign and expand the spa park in the late 19th century. The park consists of a diverse combination of natural terrain formations with green spaces, ponds, a waterfall and a natural forest with a small lake. 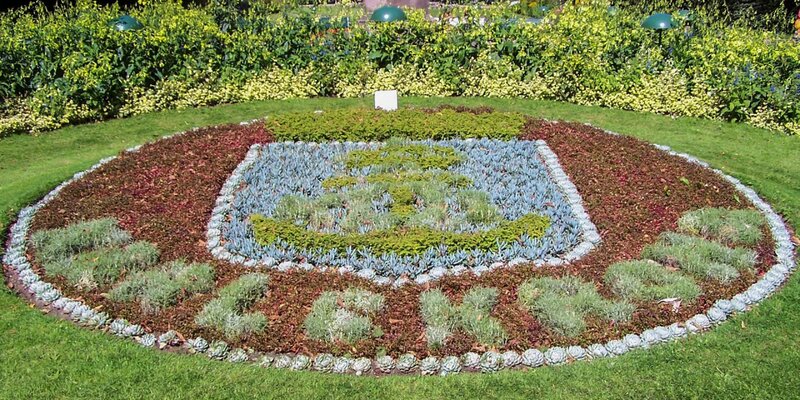 Various themed gardens offer even more diversity. Doftträdgård (Garden of fragrances) is staffed with 50 different species of blossoming plants that bloom sequentially throughout the year and give off their different scents. The Japanese garden is a combination of different forms and designed as a place of relaxation. Special sights in and around the park are the well-preserved wooden buildings from the 19th century that complement the historical ambience of the old spa park. Among them are such impressive buildings like the former director's villa, several other large wooden villas or the former bathhouse. The spa gardens is open all year at any time and who would like to get an idea of the taste of the healing water, can operate the hand pump at the old spring.